How Much Stock Does an Average American Own? Does the Average American Invest in Stocks? 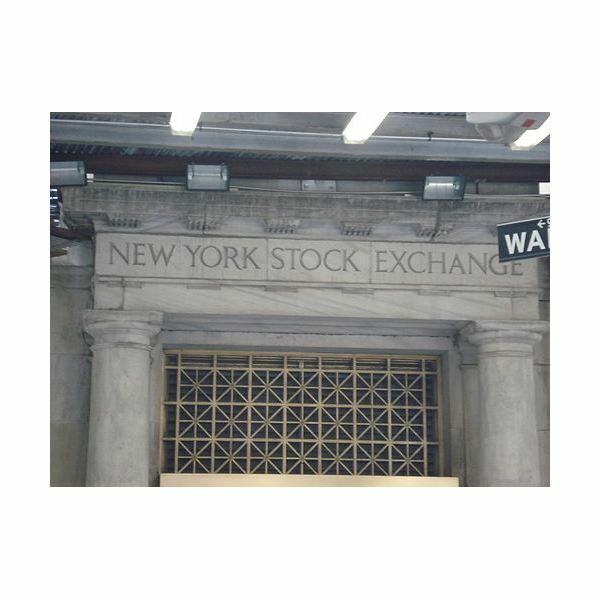 Most Americans are familiar with the New York Stock Exchange—the iconic symbol of wealth and money, but only 54 percent are currently invested in the stock market either by owning individual stocks or by holding them indirectly in mutual funds or as part of their IRAs or 401(k)s.
Americans are notorious consumers, which is good because consumer demand makes up 70% of the U.S. economy. Without consumer spending, corporations would not be able to generate profits. Without corporate profits stock prices would plummet and household wealth would erode causing a lost of consumer confidence and a further curtailment of spending. So consumption is an integral part of the wealth building cycle in America's society. However consumption can also run amok with devastating consequences. This is what happened in 2005 when the American savings rate dipped into the negative territory—an early warning sign that a debt crisis was coming that would send the U.S. spiraling into the deepest recession since the Great Depression. Currently the U.S. savings rate has rebounded and leveled off to around a healthy 5.5% of disposable income. But this does not mean that Americans have bought stocks with those rainy day funds, instead they have chosen other investment classes that they perceive are safer, less volatile and more likely to have predictable returns. How many Americans own stocks? According to a recent Gallup poll, the percentage of Americans saying they hold individual stocks, stock mutual funds, or stocks in their 401(k) or IRA fell to 54% in April 2011—the lowest level since Gallup began monitoring stock ownership annually in 1999. Stock ownership peaked in 2002 at 67% and has since been on a steady decline. How much stock does the average American own? According to the Federal Reserve's most recent report, the median value of directly held stock in 2009, for families holding any, was approximately $12,000. This represented a decline of 36% from $18,500 reported in 2007 and was largely attributable to the stock market's free fall and the cyclical unemployment that forced households to raid their savings. Are stocks the investment choice of the wealthy? While stocks are owned across income levels, 87% of upper-income Americans —those making $75,000 or more annually—reported having stocks as part of their investment portfolio. Does a person's level education make a difference in their decision to purchase stocks? The answer appears to be yes with 83% of postgraduates and 73% of college graduates reporting investing in the stock market. These statistics should not be surprising given that income levels for college and postgraduates are generally higher than high school graduates, leading to more disposable income available for investment. What age group is the most likely to be invested in stocks? Americans aged 50 to 64 were the most likely to report that they have money invested in the stock market. As expected, this age group has more disposable income, less recurring debt, and an acute interest in owning equities to get themselves ready for retirement. Prior to the recession and financial crisis, real estate and stocks were favored much more than savings accounts and bonds. However, after seeing 10 years of wealth accumulation wiped out in a few short months, Americans have lost confidence in the long-term prospects of stocks. A 2011 Gallup poll confirms that Americans still remain skeptical of buying stocks with only 25% of those polled believing that stocks are the best long-term investment while 33% of Americans continue to say that real estate presents the best long-term opportunity. "FRB: Finance and Economics Discussion Series: Screen Reader Version – Surveying the Aftermath of the Storm: Changes in Family Finances from 2007 to 2009." Board of Governors of the Federal Reserve System. https://www.federalreserve.gov/pubs/feds/2011/201117/ (accessed May 12, 2011). Jacobe, Dennis, and Chief Economist. " In U.S., 54% Have Stock Market Investments, Lowest Since 1999." Gallup.Com – Daily News, Polls, Public Opinion on Government, Politics, Economics, Management. https://www.gallup.com/poll/147206/Stock-Market-Investments-Lowest-1999.aspx (accessed May 12, 2011). "News Release: Personal Income and Outlays, March 2011." U.S. Bureau of Economic Analysis (BEA) – bea.gov Home Page. https://www.bea.gov/newsreleases/national/pi/pinewsrelease.htm (accessed May 12, 2011).